Catch Freeplay Dance Crew at SF Pride 2013 this Sunday! Watch SwingNation #26: Our buddy Jim's beautiful Lindy Hop iPad covers! A rant-inspiring mini-documentary and presenting "The Magnificent Lindini" all on this episode of SwingNation. Support Livestreaming Lindy Hop from ILHC 2013! Thanks to the Iris and Kirk at the 9:20 Special for inviting us back to perform the “B-boy Shim Sham” at the 9:20 Special swing dance last Thursday. A fantastic crowd in the best place to swing dance in SF. 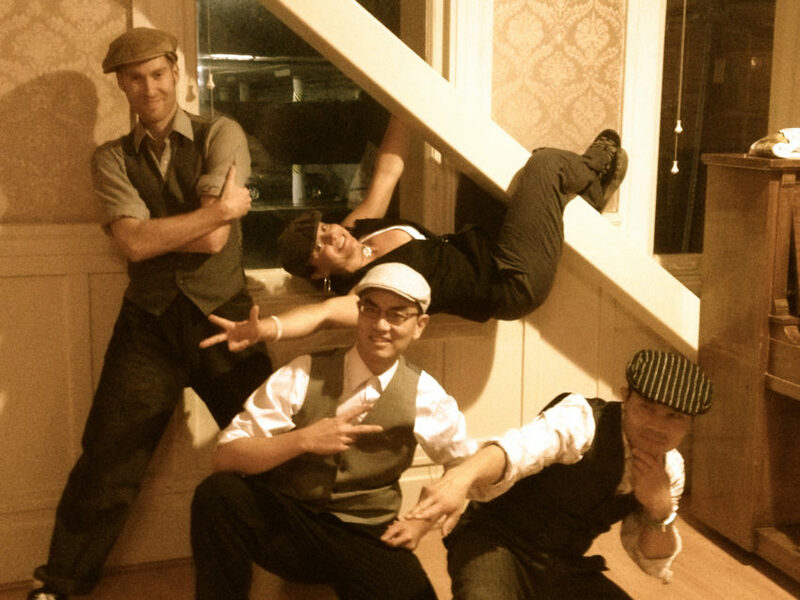 The “Jazzawockeez” are B-boy J-Blaze, b-boy Chiao, b-boy Rikomatic, and featuring b-girl Chachi! Enjoy.